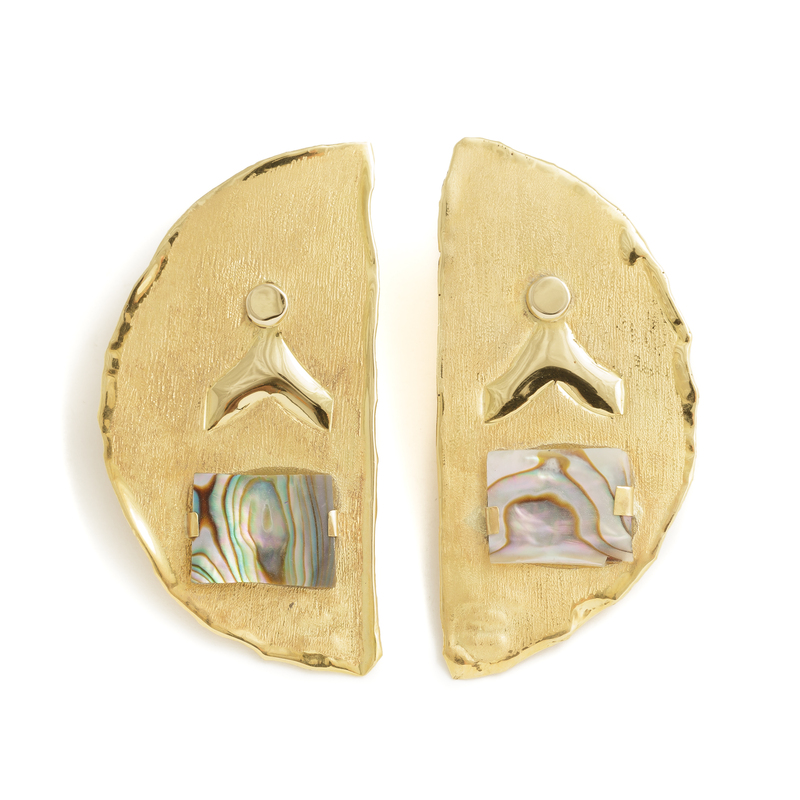 With semi-circular shapes, the granulated filigree earrings feature archaic symbols and elegant details in seashell and can be combined so as to take on the shape of a planet, or a part of the universe. 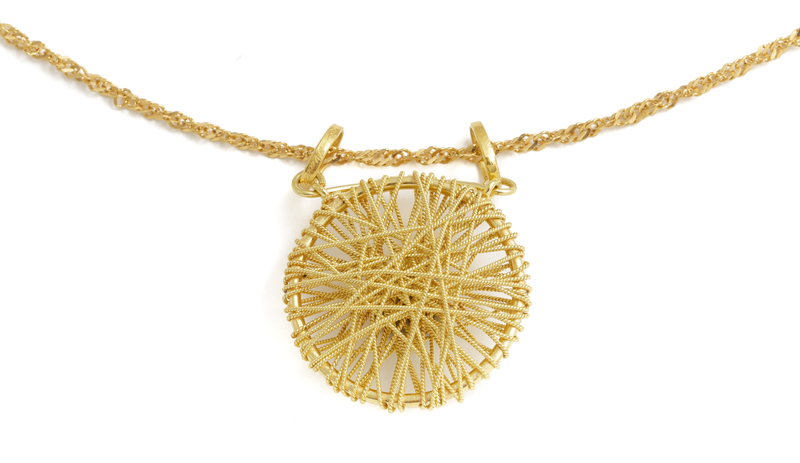 This striking pendant, which stands out for the interlaced design of the filigree thread, breaks free from tradition, adding a fine contemporary touch. It is the result of new stylistic interpretations by this goldsmith’s workshop, which stems from mastery of tradition and techniques. 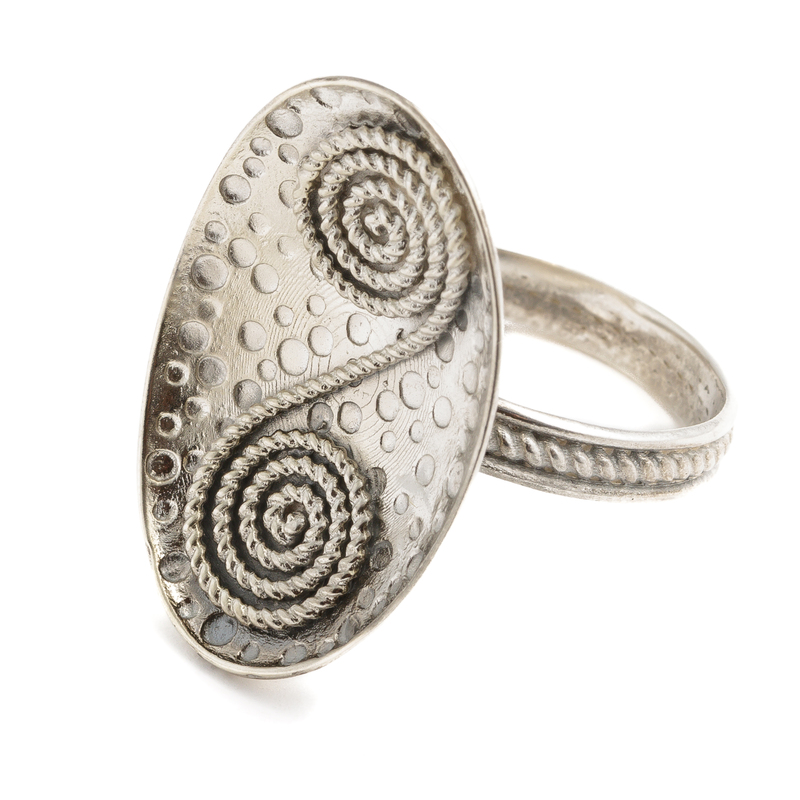 This finely shaped concave ring features the symbol of infinity, which is wisely crafted in granulated silver filigree on hammered silver plaque. Based on the exclusive design of this goldsmith’s workshop, this ring reinterprets the traditional technique using experimental forms. 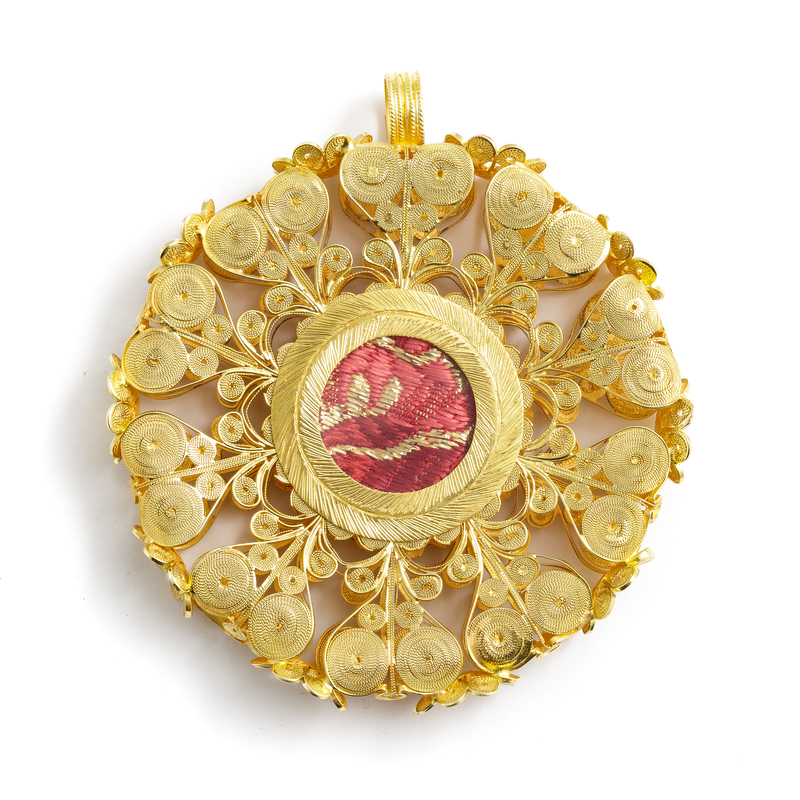 The fine patena pendant, which faithfully reproduces the typical traditional design of Dorgali, is masterly made in gold with fine filigree technique. Entirely handcrafted, it can be customised in size and decoration. The elaborate finely crafted earrings revive the typical traditional shape of the a palia model of Campidano. The goldsmith production of the Nieddu goldsmith workshop in Dorgali, a small town in the province of Nuoro with strong ancient artisanal traditions, elegantly reinterprets the Sardinian filigree craft in the collection of traditional jewels, alongside original new productions, which are the fruitful result of stylistic experiments inspired by the archaic culture of the island. This family’s production began with Andreana, a ceramist who started producing and selling her own traditional artefacts, including fine filigree jewels, in her small shop in Dorgali. Her son Cristian was soon fascinated by her filigree work, so he decided to start his apprenticeship with local filigree craftsmen in his town, thanks to whom he learned the refined goldsmith technique. In 1995 he decided to set up his own workshop, and was later joined by his brothers Francesco and Salvatore whose dedication and professionalism contribute to the family business. 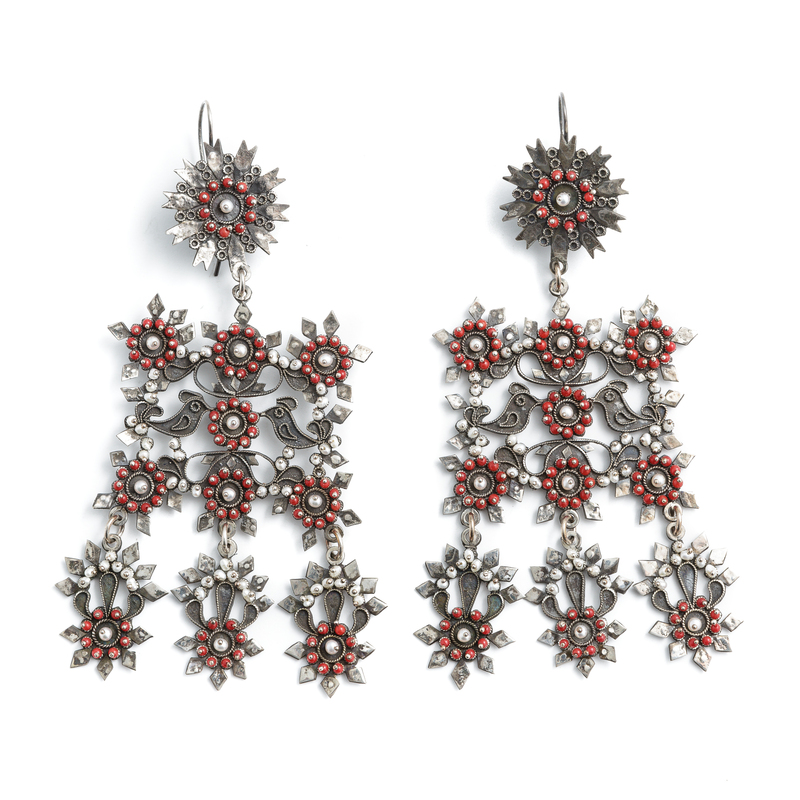 Their filigree production counts mainly traditional Sardinian jewels characterised by light articulate shapes, enriched with coral, pearls and hard stones. Over time, they developed new stylistic solutions which add a contemporary touch to the sensitively evoked and ever-inspiring past and tradition of Sardinia. They work with untiring passion in their workshop in the centre of Dorgali and participate in the main local and national exhibitions of artisanal crafts. The production of the Nieddu brothers includes a precious line of jewellery rooted in the local goldsmith tradition, typically made using the filigree technique according to ancient procedures and faithfully reproducing shapes and compositions in gold and silver with coral and other hard stones which have, according to tradition, a well-wishing value. In addition, a line characterised by contemporary taste is produced, which features new interpretations of the traditional themes and archaic symbolism of the island. All filigree techniques, including openwork and granulation as well as all the classic goldsmith techniques are performed.